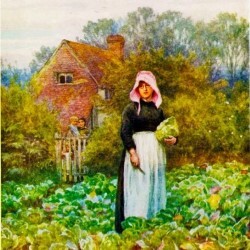 'Traditionally, unmarried maids were sent into the vegetable garden to choose the perfect cabbage' (Anon). Bonkers storytelling with a heart and an elusive cabbage. Trapped in a dysfunctional household, will an Edwardian(ish) maid’s devilish streak ruin everything or will the cabbage save her? Award Winning local Lucy Pearman’s Edinburgh Show comes home to Chippy.